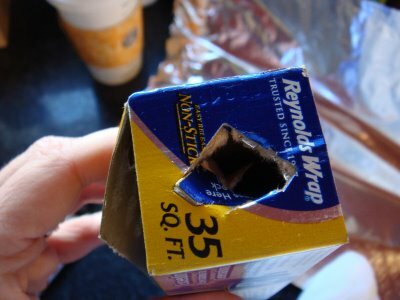 I saw this on another blog (but can’t remember which one)… Do you hate it when you are trying to tear off a sheet of Saran Wrap or Foil and the entire roll pulls out of the box? 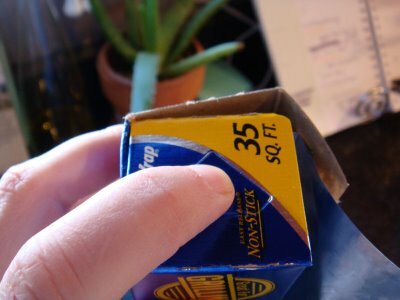 Well, hate no more… here is a handy little trick for keeping the roll inside the box. I cannot believe I never noticed this or knew it. Oh well… better late than never! Any other secret tricks out there we should know about?? ?